This year, we are honored to have “The Welcome Home Heroes Traveling Tribute” come to Haleyville for the weekend of Mark’s race and walk. The display will be set up at the high school near the football field on May 16-18, 2013. You will be impressed when you see it in person. They are traveling from Manteca, CA directly to Haleyville, then have to return back home for their regular Memorial Day weekend celebration the following weekend. “The Welcome Home Heroes Traveling Tribute” is a memorial that was built six years ago bearing the names of those who have fallen since 9/11. Michael Dillman, a Vietnam veteran and passionate supporter of our troops and Gold Star families, created the memorial as a center piece to the “Not Forgotten” event that takes place every Memorial Day Weekend in Manteca, CA which has an annual attendance of 20,000 + and is the largest Memorial Day Weekend commemoration on the west coast. There are eleven panels that make up the memorial and each panel bears the images of fallen heroes and the names of more than 6,400 who have given their lives in sacrifice for our country. Several years ago Allied Supreme Commander General Craddock personally viewed the Tribute and said it was one of the most beautiful memorials anywhere to be found in the nation. Each panel lights up to create a beautiful memorial of light at nightfall to our fallen heroes. 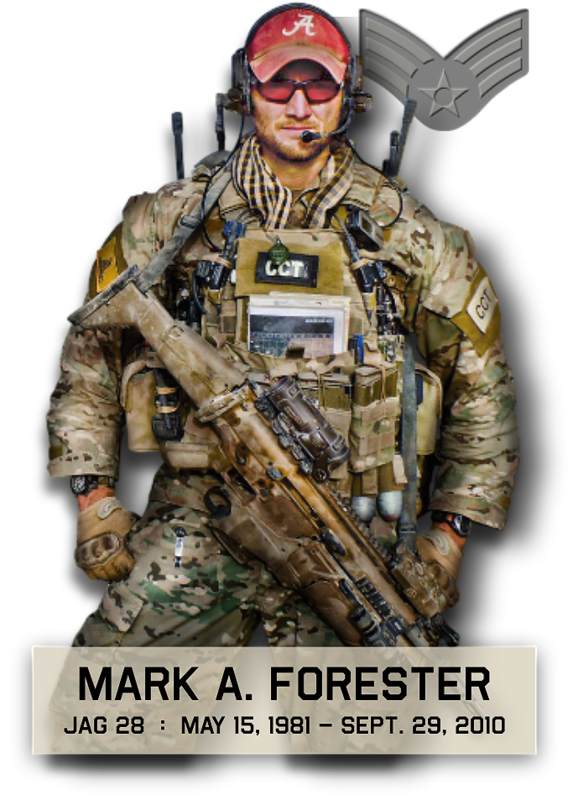 The eleventh panel of the memorial was dedicated to the memory of fallen hero Air Force Senior Airman Mark Forester at the Not Forgotten event on May 27, 2012. The Traveling Tribute has been displayed up and down California from football invitationals to professional hockey games to patriotic events in an effort to honor all who have served, remember our fallen, and remind our citizens that freedom is not free. This is the panel with Mark’s image. All the names listed are the men and women who were killed defending our freedoms in the year of 2011. HERE is an earlier post about this event from last year. To go to the event’s official web site, click HERE. Please take the time to watch this video to learn more about the purpose of the Memorial Day weekend event and the traveling tribute coming to Haleyville. We spent several days with these great people last year and saw the panels, both in the day light and illuminated at night. We hope many people will visit, regardless if you are taking part in the race or walk. This will be open for viewing throughout the days of May 17 and 18.